Dawnstar's 28th concert was held on 18 November 2016 Szilvuplé Varieté in Budapest, Hungary. It was the third concert held at Szilvuplé Varieté. Dawnstar supported the band, Steal, for the third time. 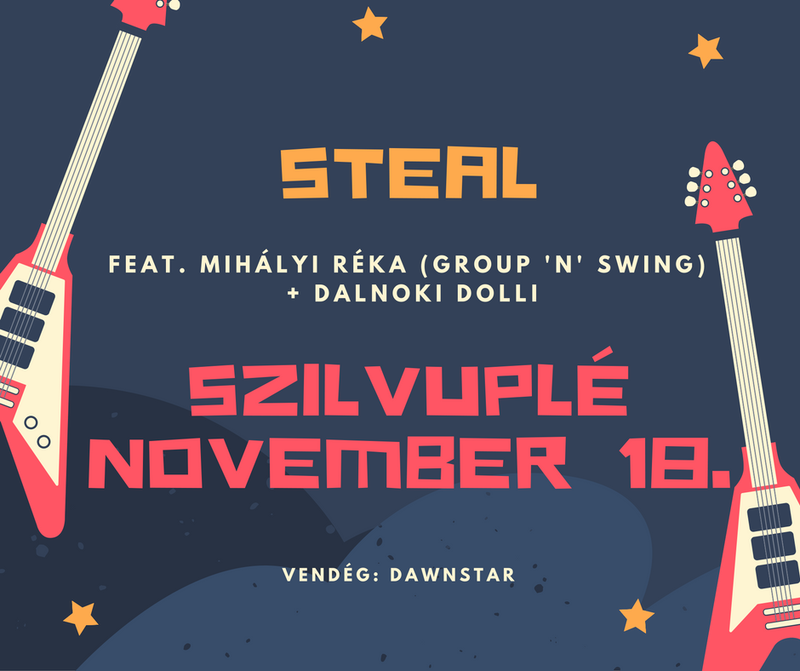 Steal guitarist, Surányi, informed Dawnstar as early as 8 September 2016. Since then the band had been rehearsing for this gig. However, on 17 October 2016 the band was invited to play at the Gothic Halloween on 4 November 2016 by András Keserű. Therefore, the band changed their preparation schedule for the Szilvuplé gig and inserted the new event with different songs. Following the negative critics on the concert on 4 November 2016, the band omitted the song Splendid Solitude from their set list. However, Bálint Hamvas insisted on not changing to much in the set list used on 4 November 2016. Therefore, the band did not change the order of the first three songs but changed Under Your Wings into Don't Die A Martyr For Me. The fifth song, Immortality was not changed because Viktor Albert insisted on playing it. The sixth song was changed from In Heaven We Meet Again into London Nights. From the seventh song, the band completely changed the set list for the Szilvuplé concert. Ophelia, The Cure's cover Boys Don't Cry, and Change The World were inserted instead of playing Splendid Solitude. However, the final song was the same at both concerts, Scarlet. As opposed to the concert on 4 November 2016, the band played 2 encores: Giulia and Love's Gonna Be Tender. The band received mainly very positive critics after the concert.